Jersey Boys played its last performance on January 15, 2017. 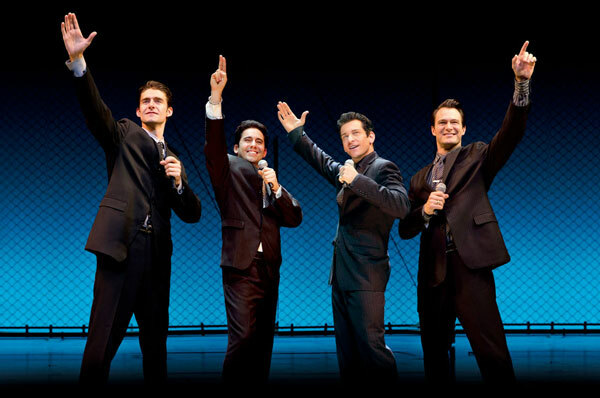 A crowd-pleaser since 2006, Jersey Boys follows the rise and fall of The Four Seasons, the rock ‘n roll band behind “December 1963 (Oh, What A Night),” “Big Girls Don’t Cry,” and “Can’t Take My Eyes Off You.” Music by Bob Gaudio, lyrics by Bob Crewe, and book by Marshall Brickman and Rick Elice. Standing Room – Standing room tickets are only available if the performance is sold out. If the show is sold out, tickets will be sold on the day of the performance, 2 hours before the performance. Tickets are $27, cash only, limit of 1 ticket per patron.